A young thief is being interrogated by her captors about a heist: every answer she gives is half-truth and half-lie. Every answer she gives leads to a flashback, revealing filled with tremendous action to the reader. Written in a very accessible and engaging style, this is a story packed with attitude, a brilliant first-person POV, and a clever narrative structure. Sykes has also created one of the most satisfying and original magical systems to match the story, and these elements come together in a very solid and satisfying way to create and innovative and eye-catching read. 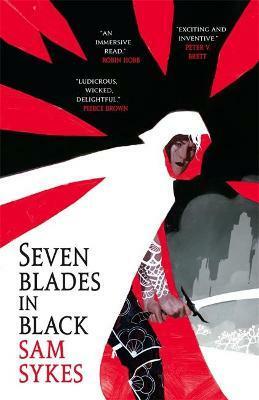 Full of energy, this is a positive and fun fantasy tale for the post-grimdark generation of readers. Samuel Sykes began writing his debut novel, Tome of the Undergates (the first book in his Aeon's Gate trilogy) when he was seventeen. Since then, he has also written Black Halo, The Skybound Sea and the Bring Down Heaven trilogy that begins with The City Stained Red. He currently lives in the US, where he is working on his next novel.